Life Force Trio on iTunes TODAY!!! 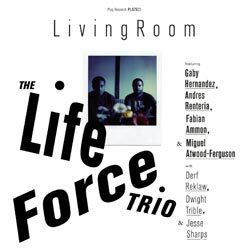 The Life Force Trio’s “Living Room” doesn’t hit stores until next Tuesday, but you can download it starting today on iTunes! This modern masterpiece, which claims influence in everything from Sly & The Family Stone to Alice Coltrane, is one of the finest and most distinctive releases to come out this year. Don’t miss out!